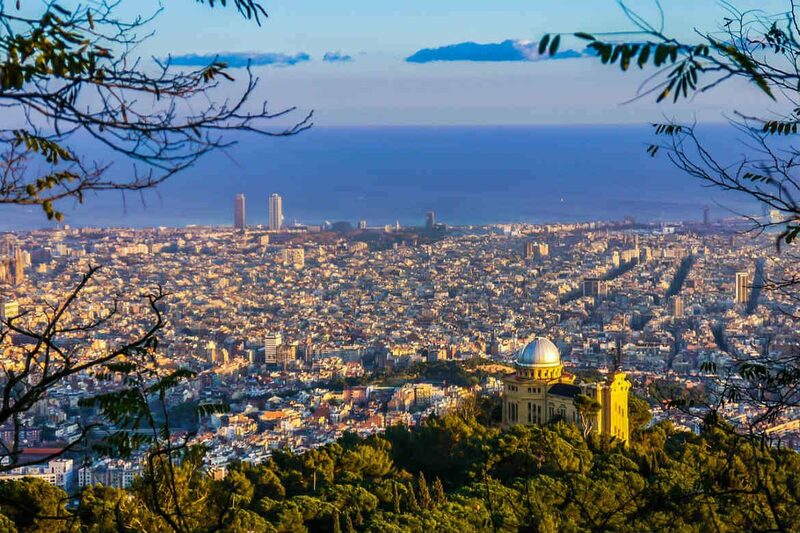 Barcelona, Spain’s second largest city, is one of Europe’s celebrated powerhouses, boasting striking landscapes, hospitable locals and unequivocal beauty. If you’re planning a visit to the Catalonian capital, a melting pot of ornate architecture, delicious foods and wonderful weather, be sure to check out our top things to do in Barcelona! One of the most iconic and visited monuments in all of Spain, La Sagrada Família is an architectural masterpiece encompassing Barcelona’s wonder and creativity into one beautiful structure. Designed by the celebrated Spanish architect, Atoni Gaudí, construction began in 1882 and is still yet to be completed today. 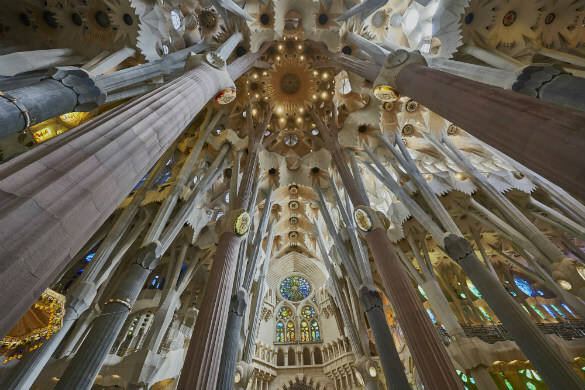 It’s not hard to see why over three million people visit the Sagrada Familia each year as the building edges slowly towards final completion. Be sure not to miss this architectural delight when visiting the Catalan region. Park Güell is a UNESCO-listed park system designed, unsurprisingly, by Barcelonian architectural mastermind Atoni Gaudí. The park is a reflection of Gaudi’s fascination with the natural world, emphasised by the use of intricate pathways and the striking salamander mosaic known locally as “el drac” (the dragon). Park Güell is one of the most popular things to do in Barcelona, and after strolling through its beautiful grounds it’s easy to see why. The park was created in 1900 and is an ode to Barcelona’s rich artistic heritage and fascination with nature. No need to worry, the site is also easily accessible via public transport, both metro and bus line. Camp Nou, translating to “new field’ in Catalan, is the home stadium to FC Barcelona, the local football team. One of the powerhouses of world sport, the club is home to some of football’s greatest players, both past and present. The stadium is one of the largest in world sport, with an impressive seating capacity of close to 100,000. FC Barcelona’s season is from September through to May and is a spectacle sure to leave you in awe. 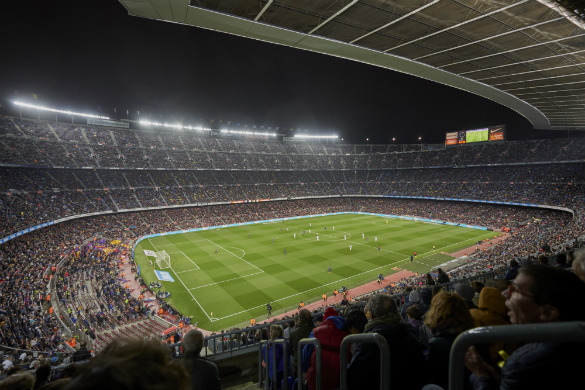 If you’re visiting outside of the season schedule, the Camp Nou Experience invites you in for an interactive tour of the legendary stadium all year round. Casa Batlló, Barcelona, Spain. Image Credit: QUIM70 / CC by SA 3.0. Located in the heart of Barcelona, the Casa Batlló is widely considered one of Gaudi’s finest works. The former home of a prominent Catalan family, the Batlló’s, the building sits quite surreally amongst other residential and shopping buildings right in the centre of town. The facade is something that you could only dream up, a mixture of spectacular colours, curved exteriors and an eccentric asymmetric use of tiles. 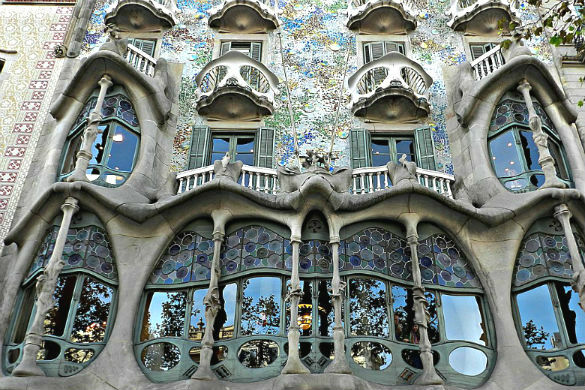 The Casa Batlló is one of the top things to see in Barcelona, and is a breathtaking landmark that shouldn’t be missed. Museu Nacional d’Art de Catalunya, Barcelona, Spain. Image Credit: Albert Torelló / CC by SA 2.0. 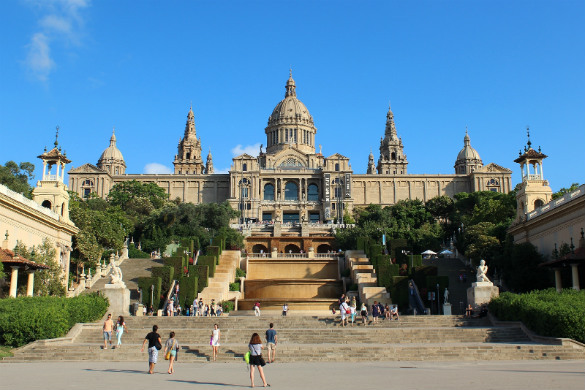 Sitting regally on top of Montjuïc hill, the Museu Nacional d’Art de Catalunya (National Art Museum of Catalonia) is a lavish building home to some of Europe’s finest examples of local and international art and design. The museum is a popular attraction and is noted for hosting a phenomenal collection of Romanesque church paintings. This collection was salvaged from abandoned churches throughout rural Catalonia in the early 20th century, and is widely considered one of the most important compilations of Medieval art in the world. The museum is a must for both art lovers and those with an appreciation for outlandish architecture. La Rambla, Barcelona, Spain. Image Credit: Marie Thérèse Hébert & Jean Robert Thibault / CC by SA 2.0. 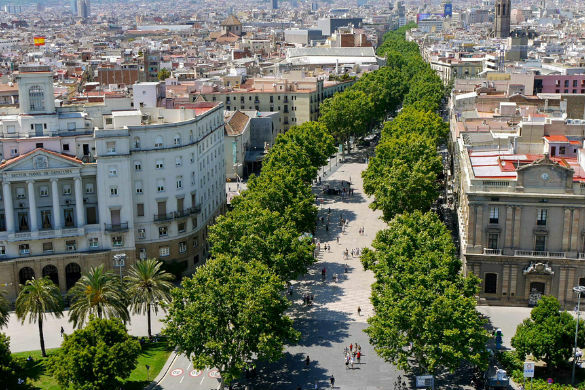 La Rambla is Barcelona’s most famous street. A place of excitement and vibrance, where towering plane trees line the walls of the street so elegantly, the street is a hot spot for visitors to enjoy shopping, sample some of the regions finest seafood or enjoy a coffee while people watching along the busy path. La Rambla stretches over a kilometre in length and is packed full of beautiful buildings, stylish theatres, bustling cafes and delightful restaurants. The street embodies all that is loved with the city and is understandably one of the unmissable things to do in Barcelona. 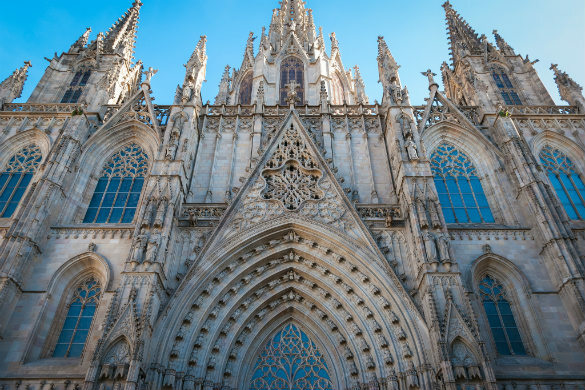 Barcelona Cathedral, Barcelona, Spain. Image Credit: Gary Campbell-Hall / CC by 2.0. Widely considered the most remarkable area within Barcelona, the Gothic Quarter explodes to life with spectacular architecture, delightful galleries and a rowdy nightlife. The Gothic Quarter is at the centre of the old city of Barcelona, and has largely remained untouched from modern renovation since the city’s early history. Get lost in the winding streets and labyrinthine alleyways, or spend time sampling one of the traditional Catalan dishes and beverages offered by local restaurants and bars. Be sure to visit the Gothic Cathedral too, which is a favourite amongst tourists. The Gothic Quarter is also a fantastic nightlife hub, with a diverse range of nightclubs, and cocktail, whiskey and dive bars. Museu Picasso, Barcelona, Spain. Image Credit: Museu Picasso Barcelona. 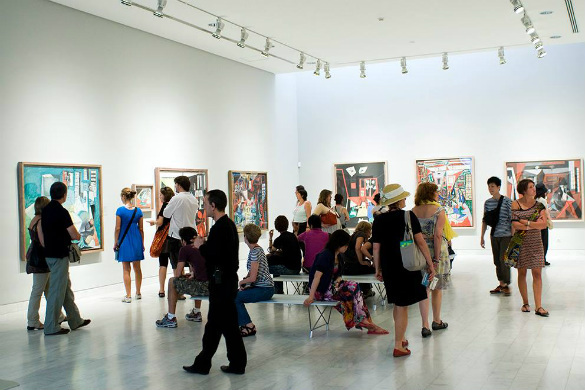 Home to one of the world’s most complete collections of work from the great Pablo Picasso, the Museu Picasso is one of the finest things to do in Barcelona, Spain. The Museu Picasso has over 4,000 pieces from the enigmatic Spanish artist, with works from his early life all the way through to his final years as a creative. Located in Carrer de Montcada, the museum is comprised of five medieval mansions adjacent to one another. As you meander through the wonderful exhibitions, enjoy the many courtyards and open spaces scattered throughout. Wanting to see Barcelona for yourself? Secure your place on a Europe tour from Webjet Tours today!